Golly, it’s a busy year! One project that I am especially proud of is a family home in Needham. I’ve been working with this family for almost nine months, and the house has already been transformed. A few rugs and accent furniture pieces need to be finalized, and the finishing touch of accessories has not even begun, but I can’t help but give you a sneak peek. The living room and dining room are the first rooms you see once stepping into the foyer of the house. 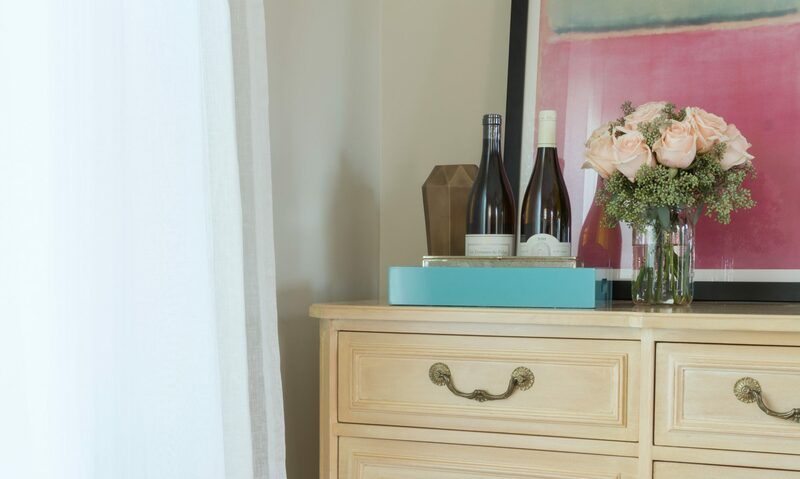 We had originally decided on a soft neutral taupe for the walls to keep it simple, but once the painting began in the other rooms, my clients were so inspired they wanted to go more dramatic. 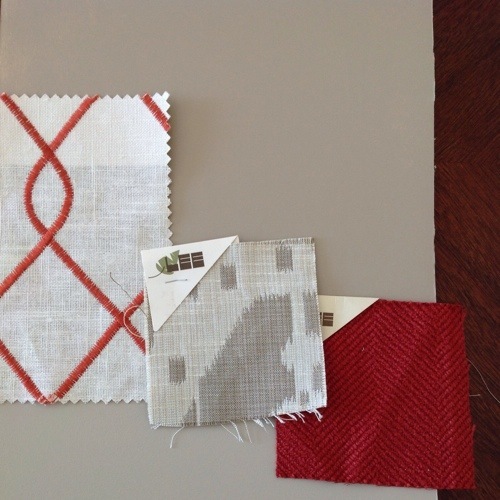 We had already ordered the sofa in a red herringbone texture, an armchair in a cream-and-tan woven ikat, and the window treatments in persimmon trellis embroidery on pale linen. Their dining room chairs were recovered with a kid-proof cayenne Ultrasuede. With so much pattern and color in the furnishings, I was thrilled to be able to bring drama to the walls as well. After perusing Houzz for inspiration, we decided on a deep chocolate brown with a hint of red: Fresh Brew 1232 by Benjamin Moore. I am in love with the way it turned out! And more importantly, so are my clients. I can’t wait to show you the finished space in a few months! The colours are so soothing!